Effective January 1, 2018, new rules took effect for partnership taxpayers. These "Partnership Audit Rules" affect how taxes (as well as penalties and interest) are assessed when a partnership has been audited by IRS. 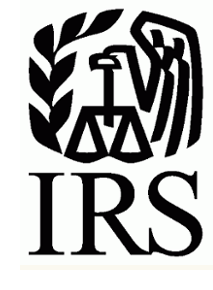 Under the old rules, when an IRS audit adjustment was made at the Partnership level, its partners had to adjust their personal tax returns by their share of the adjustment, and pay the corresponding tax personally. In contrast, the new rules will assess the partnership, itself, for the tax effects of any IRS audit adjustment and the partnership will pay the corresponding tax. In certain circumstances, however, the partnership may elect to "push out" an audit assessment to the individuals who were partners in the year of assessment, instead of to the current partners. Smaller partnerships, defined as those with 100 or fewer qualified partners, can elect out of these new audit rules on an annual basis. This election must be made on the partnership's (timely filed) annual tax return, Form 1065. Please note that this election cannot be made if one or more of the partners are, themselves, partnerships or trusts. In addition, if an S Corporation is a partner in the partnership, all of the S-corporation's owners must be counted as partners in determining if the 100 partner threshold for the underlying partnership has been exceeded. If a partnership finds itself subject to these new rules, many decisions must be made. The first decision is whether or not to amend the partnership or Limited Liability Company Operating agreement. Doing so will generally be the wise choice, since these new audit rules can adversely affect partners who were not partners during the period being audited and, therefore, did not benefit from the activities of the partnership in an audit year. So, for example, the new partnership agreement should address which partners will be liable for an assessment, the current partners, or those who were partners during the year under examination. The agreement should also clearly state the obligations of both current partners and prior years' partners during the year of examination. Even if a partnership decides to elect out of these rules, it may still want to amend its partnership agreement for other reasons. For example, to avoid adding tax complications in the future, the partnership may wish to prohibit the transfer or sale of a partnership interest to an ineligible partner (for purposes of the small partnership election), and to limit the number of partners to 100 or fewer. Another important decision to be made under the new rules is who to appoint as the Partnership Representative. This individual, who does not have to be a partner, has the sole authority to deal with IRS matters, among other things. The Partnership Representative should not be anyone who might have a conflict of interest in taking on this role, most notably the tax preparer. A partnership will have to designate an individual as its representative each year on its tax return. This representative's duties must be addressed carefully in the updated partnership agreement in order to avoid potential conflicts amongst the partners. Since these new rules, which simplify the process of assessing audit changes, may result in increased numbers of IRS examinations of partnerships, it is very important for effected partnerships to begin the process of amending partnership agreements now. We will gladly meet with you and/or your legal counsel to discuss the potential ramifications of this new law and make recommendations regarding new provisions that should be included in your amended partnership agreements. Feel free to contact us if you have any questions about these new rules.